Lot 211 – A Quantity of William IV and Later Fiddle, Shell, and Thread Pattern Table Cutlery, mostly dating London 1832, together with a large ladle, approx 44oz, overall. Guide Price £ 350 - £450. (Plus Buyer's Premium of 18%, Including V.A.T.). 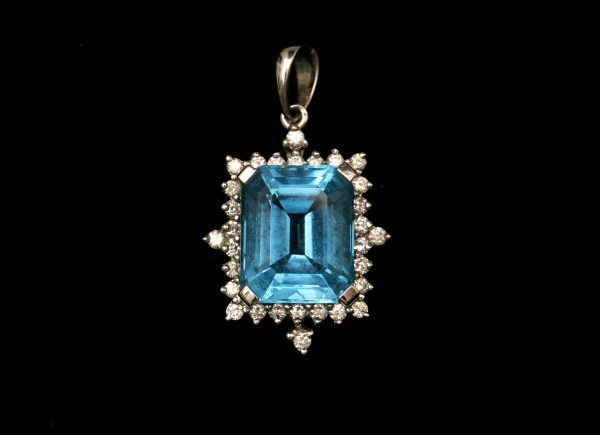 A Topaz and Diamond Pendant. Guide Price: £150 -£ 200 (Plus Buyer's Premium of 18%, Including V.A.T. ).